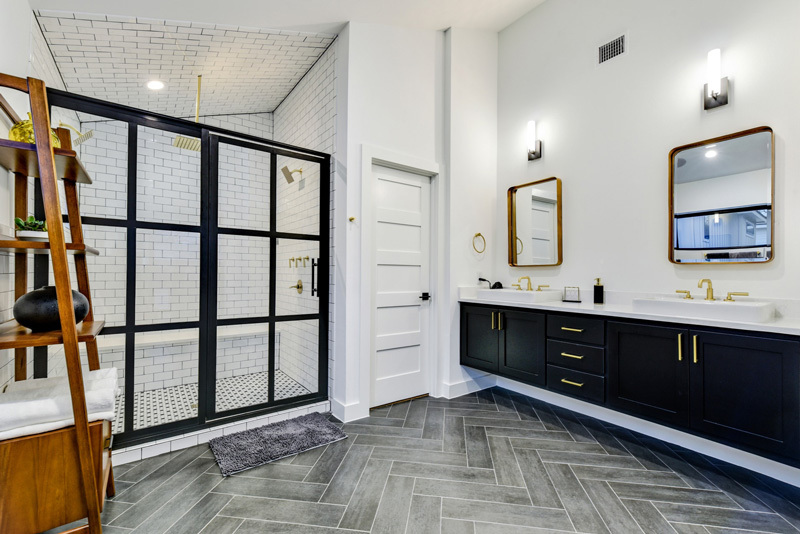 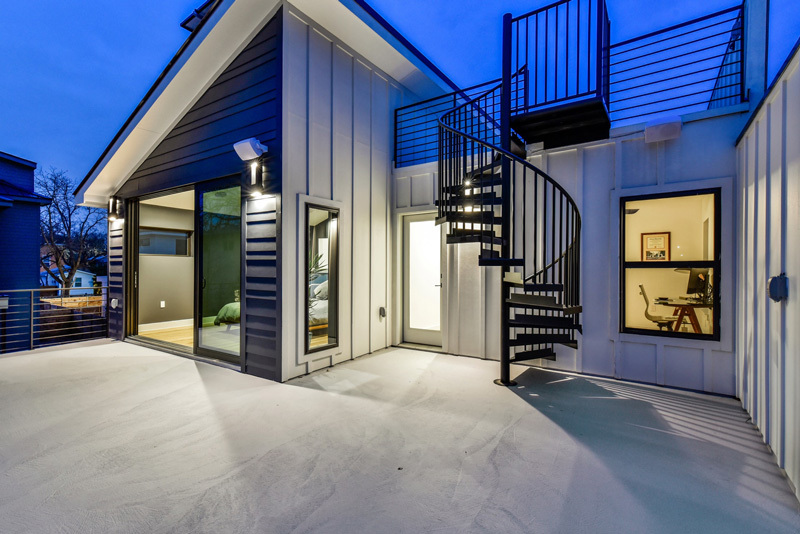 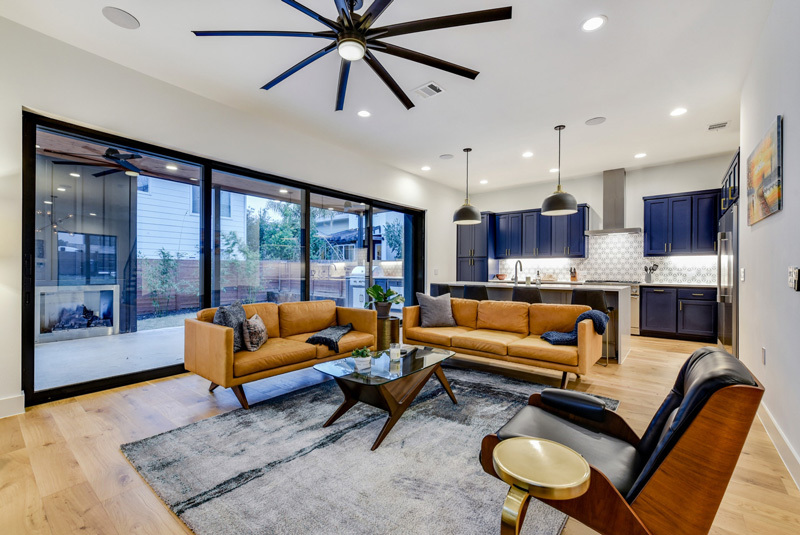 This urban modern design by Verde Builders Custom Homes® is walking distance to downtown in East Austin. 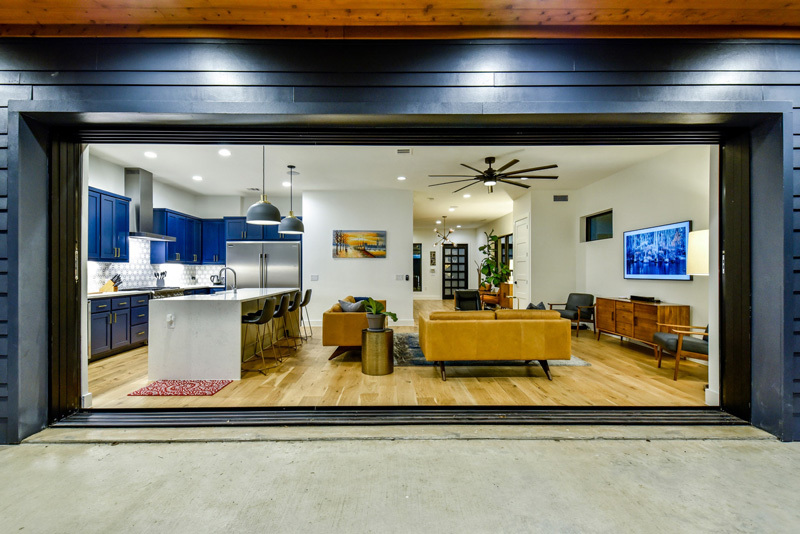 This home is a great example of modern residential architecture capitalizing on the square footage available of an urban lot. 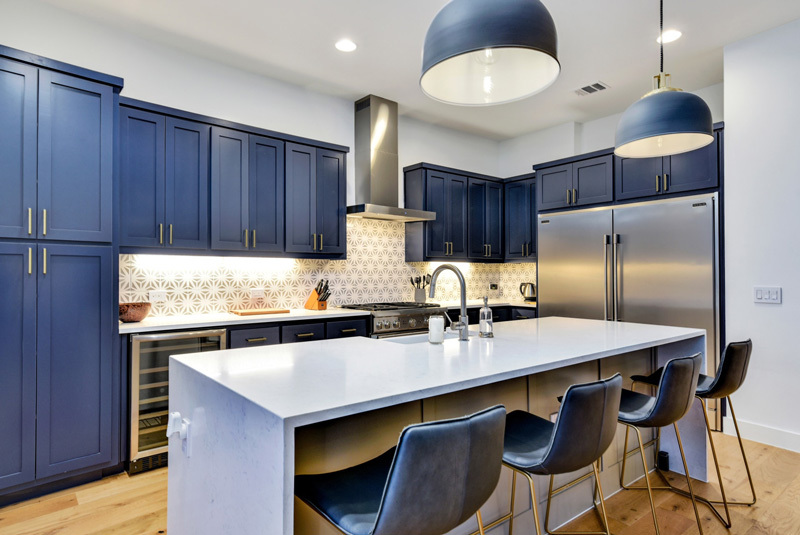 It offers essentially 3 levels, tons of outdoor entertaining spaces, captivating light fixtures, an artisan steel monostringer staircase, tons of natural light and a fantastic focal point modern kitchen outfitted with blue cabinets and designer tile.